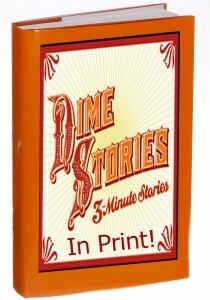 Duke City DimeStories, Albuquerque’s only open mic for prose, will celebrate its eighth year with a Showcase of DimeStories selected from the best of the past year’s monthly open mic events. 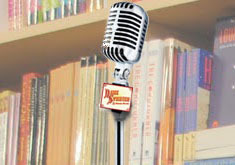 Authors who will be reading their 3-minute stories include: Gideon Campos, Karen Fausnaugh, Tish Frederick, Eirik Gumeny, Jennifer Krohn, Maria Leyba, Blake Magnuson, Georgia Santa Maria, Cindy Sylvester, and Uval Trubitz. The event will be hosted by Jennifer Simpson. Bookworks, 4022 Rio Grande Blvd NW Albuquerque, NM 87107. Author JennAlbQPosted on February 12, 2018 Categories Albuquerque DimeStories, EventsLeave a comment on Albuquerque Celebrates 8th Anniversary! A new regular series, featuring DimeStoriers. This started as a column on a site called DukeCityFix.com in Albuquerque but as that site is no longer being published, I am archiving the articles here, and hoping other chapter leaders from around the DimeStories community will participate. To kick it off, I’m featuring stories from Andy and Susan Paquet who have been great supporters of the literary community in Albuquerque. Andy Paquet grew up in Abq, went to UNM and UA, then worked at TCU in Ft. Worth, TX. He’s a retired microbiology professor. He wrote professional research publications and now enjoys the freedom to be creative, funny and not use statistics. He also emcees the DimeStories open mic here. Susan Paquet lives in Corrales with her husband (Andy), Standard Poodle and pet goats. She began writing poems and short stories a few years ago and has never had so much fun. 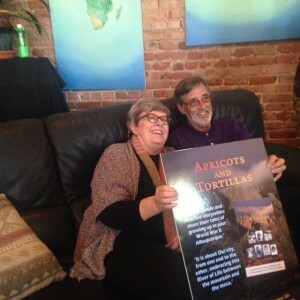 She recently published an Anthology, Apricots and Tortillas, about growing up in Albuquerque during the 1950’s and 60’s. Her short stories have also appeared in several other anthologies and journals. 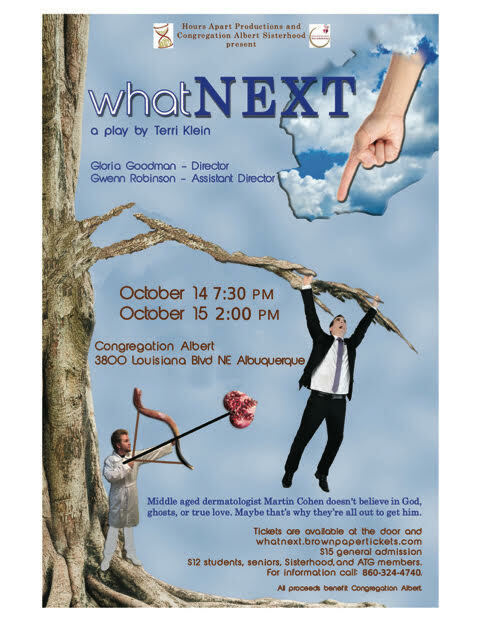 What Next, a play by DimeStorier Terri Klein will be enjoyed at the Congregation Albert October 14-15, 2017. Directed by Gloria Goodman; Assistant Directed by Gwenn Robinson. Starring: Joel Miller, Owen Danan Martin, Daniele Cherry-Kokidajo Williams, Nick Olson, Hanna Cooper, Robin Lane, Charlene Fox, Wil Moore, and Frances Ozur Cole. Featuring live Klezmer music by Di Kavene Kapelye (Randi Thompson, accordion, and Jeff Brody, violin). Performances are October 14, 7:30 p.m. and October 15, 2:00 p.m.
at Congregation Albert, 3800 Louisiana Blvd., NE, Albuquerque, NM. Tickets are $15 for general admission; $12 for seniors (65+), students with school ID, Congregation Albert Sisterhood members, and ATG members (with membership card). What Next is an Hours Apart production, in partnership with Congregation Albert Sisterhood. All proceeds benefit Congregation Albert. Hoping to see you at What Next! 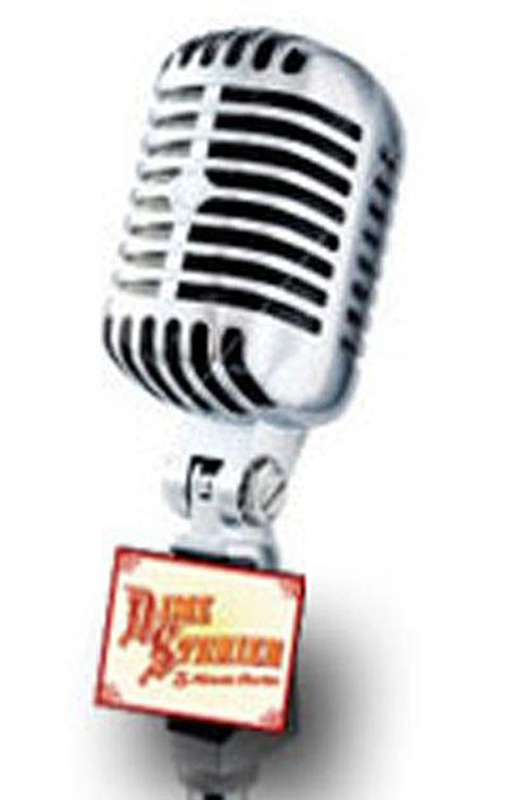 You wouldn’t know it by the audio– or lack thereof of Dimestories posted on the website, but the Duke City DimeStories group is still going strong and there are tons of great writers in our midst and I have been remiss in posting our favorites. I hope my fellow DimeStoriers will forgive me for the delay… going back to November…. DECEMBER 2016: more great stories to choose from, our favorites included “Old Town Christmas Eve 1957” by Susan Paquet, “Old Dog Christmas” by Jessica Atcherly, and “Reruns” by Dee Cohen. With the New Year came technical difficulties, a lost/garbled audio file and apologies…. No audio for January 2017. FEBRUARY 2017 favorites included “The Great Flood, Pueblo Colorado, 1921” by Susan Paquet, “What’s Missing?” by Terri Klein, and “Plucked” by Dee Cohen. MARCH 2017 included a newcomer, a regular, and our emcee “Screamin’ Mimi” by Uval, “When Meghan Eats Meat” by Iris Gersh, and “Pin the Tail” by Andy Paquet. at The Draft Station, 1720 Central Ave SW, Albuquerque, NM 87104. Featured DimeStoriers include: Maria Leyba, Merimee Mofitt, Blake Magnuson, Dee Cohen, Eirik Gumeny, Jess Atcherley, Georgia Santa Maria, and Jennifer Simpson. Stories will covere everything from addiction, Route 66 motels, open space, grief, “place”, film industry, Barelas, discrimination, to community. In other words, everything that makes this place amazing and perplexing. The event is free, but we welcome donations to the New Mexico chapter of the ACLU. There will be beverages and food available for purchase at the Draft Station. Thursday, November 17, 2016 at 7 pm. 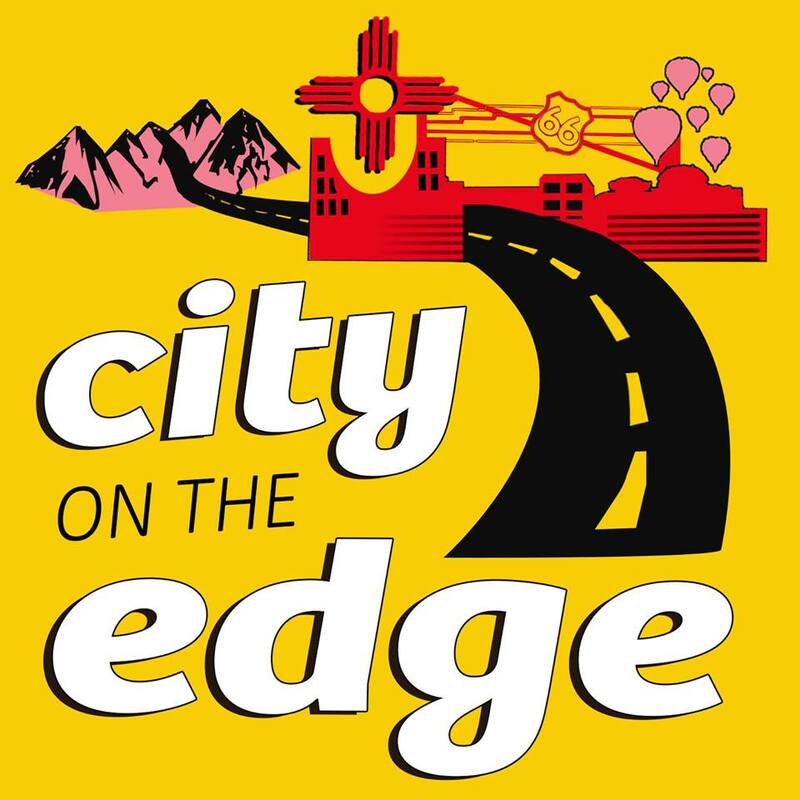 AND… if you’re a DimeStorier with a 3-minute New Mexico tale to tell, and you can commit to attending the event, contact me (Jennifer) and tell me you want to be a part of the show! You can use the contact form on THIS website. Sorry to have missed these stories and I hope to record them at some point!